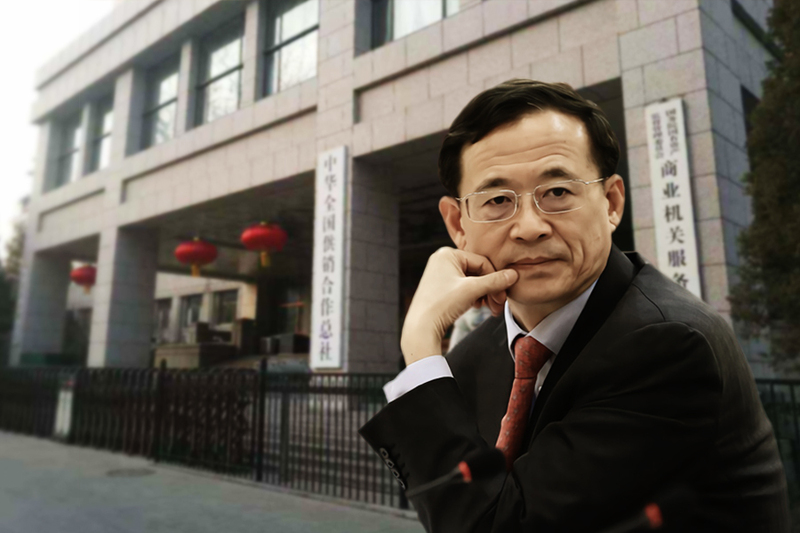 Chinese Communist Party has long carried out influence operations to survive and dominate. 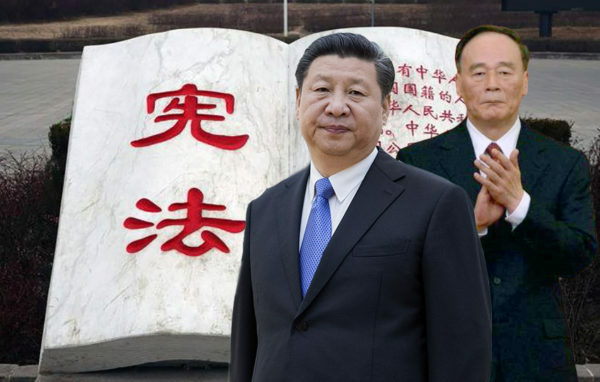 Decades of CCP influence activity has created a “Red Matrix,” or an informational environment that is pro-China and missing critical knowledge about the Party and its operations. The Soviet Iron Curtain served to “block out” the West. 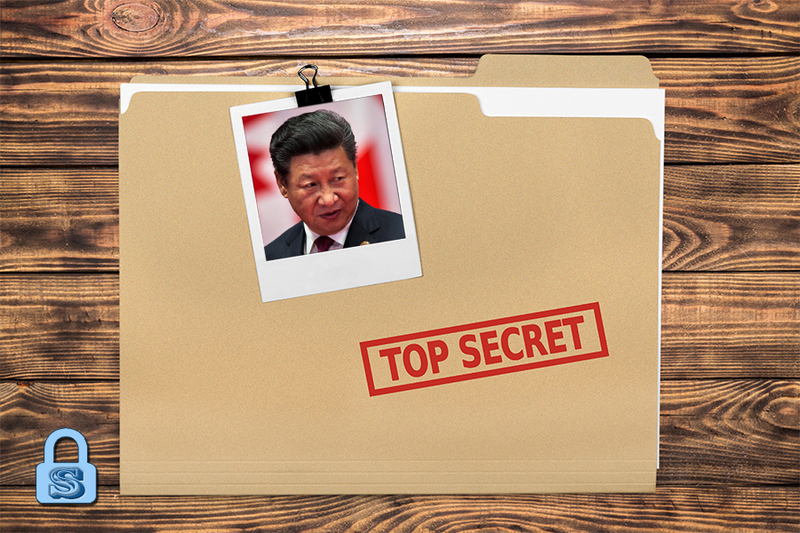 The CCP’s Red Matrix works to “plug in” the world to a view of China that it controls. 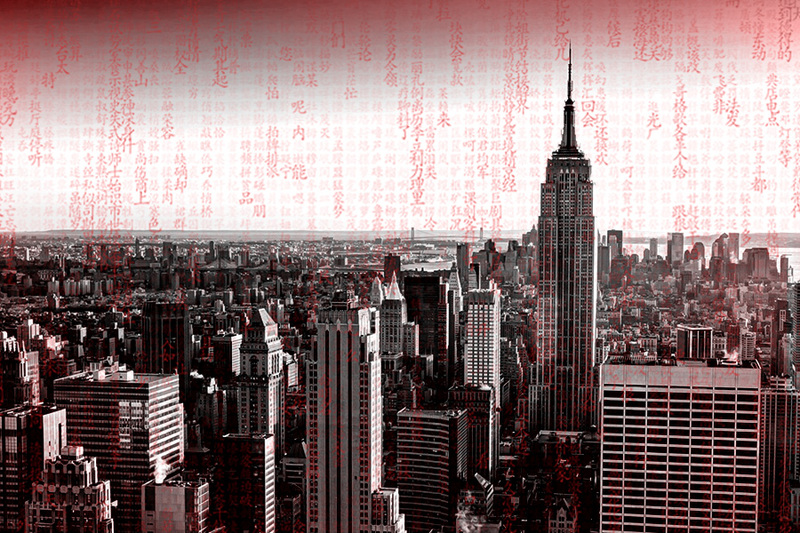 The Red Matrix has hampered recent efforts by countries to expose and counter CCP influence and interference. Educating the public about the nature of the CCP, its operations, and influence activities is the best way for countries to “unplug” their populace from the Red Matrix. At the 2018 United Nations General Assembly, President Donald Trump said that China is trying to interfere in America’s midterm election. Later, Vice President Mike Pence delivered a major policy speech on China where he called out the Chinese Communist Party’s “whole-of-government approach” to interfere in the domestic policies and politics of the United States. 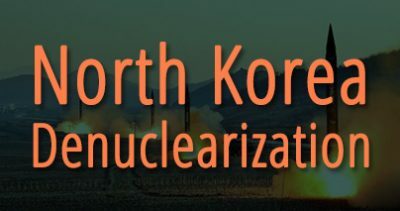 Trump and Pence’s direct warnings about CCP influence operations, however, were largely met with skepticism and disparagement by the American press and academia. Pundits slammed the Trump administration for using China to “distract,” “downplay,” or “divert” attention away from investigations into Russian election interference. Others dismissed the significance of the paid CCP propaganda inserts in an Iowa newspaper which Trump called attention to on Twitter. Meanwhile, scholars, journalists, and columnists argue that the Trump administration’s rhetoric meant cold war with China. Some even suggested that the new cold war could potentially lead to hot conflicts. The negativity towards the Trump administration’s warnings about the CCP and the cold war fear-mongering could be merely symptoms of the hyperpartisanization of the U.S. media and intellectual environment. To the seasoned watcher of CCP elite politics, however, the fact that many mainstream voices are immediately blaming the administration and echoing CCP talking points instead of covering and following up on the administration’s assessment with greater objectivity and balance is also a sign that American and global opinion has been imperceptibly influenced by the communist regime. For regime survival, the CCP sought to reshape external perception of China after it opened up to the world in the late 1970s. To that end, the Party moved to control critical channels of messaging delivery—schools, think-tanks, media, business, and political elites—to ensure effective delivery of its propaganda. 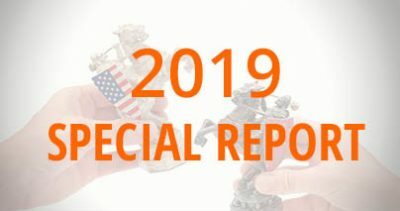 Decades of successful influence operations have created a “Red Matrix,” or an informational environment that is largely pro-China and lacking in key knowledge about the CCP. The Soviet Union formed the Iron Curtain to “block out” the West. The CCP, however, created a Red Matrix to “plug in” the world to a view of China that it controls. The Red Matrix is arguably more insidious than the simulation featured in the 1999 film by The Wachowskis. Consuming the “red pill” of knowledge may only result in a partial “unplug” from the CCP’s simulation given the decades of misinformation and disinformation about China that has been knowingly or unknowingly produced by Western information repositories and providers. The “red pilled” may also struggle to surmount the informational void about the CCP and its elite politics to truly “know the enemy” and develop countermeasures. In recent years, countries like Australia and the U.S. are starting to realize the difficulties of “unplugging” the populace from the Red Matrix. 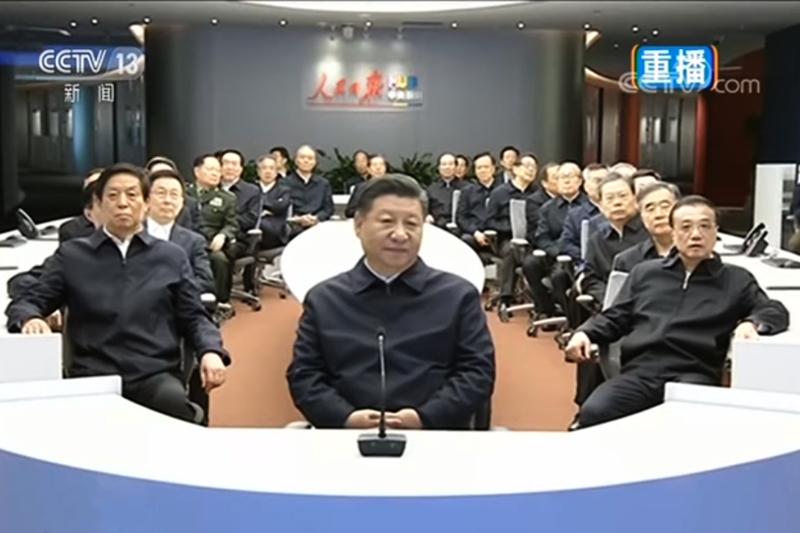 The best way out of the Red Matrix lies in educating society about the CCP, its operations, and its influence activities. Governments and groups must be very selective in picking educators to minimize the effects of information pollution and avoid “blue pilling” the populace. The Red Matrix was born out of the Party’s struggle to survive in China. Traditional Chinese values are antithetical to Marxist-Leninism, and the CCP initially found it difficult to promote the foreign concept of communism in Republican China or boost its popularity. The CCP, however, was superior to Chiang Kai-shek’s Kuomintang at propaganda, United Front tactics, and other influence operations. With influence advantage and the erosion of KMT strength after the Second World War, the CCP succeeded in a takeover of China in 1949. After seizing power, the CCP proceeded to establish a domestic Red Matrix and eradicate the “red pilled” who oppose their rule. Because China was essentially a closed country, Mao Zedong had little need to export the Red Matrix during his reign. 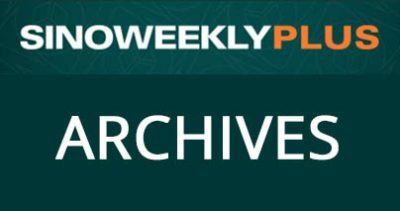 However, influence operations soon became a priority for the CCP regime once Deng Xiaoping moved to “reform and open up” China in the late 1970s. To attract Western capital and avoid the fate of the Soviet Union, the CCP needed the world to perceive the regime positively. “Hide your strength, bide your time,” Deng famously said. Yet the CCP was nearly undone by its penchant for bloody suppressions. The CCP’s solution to international isolation and survival crisis after the Tiananmen Square Massacre in 1989 was to ramp up influence efforts and sell the idea that countries should not tie human rights issues to political or business considerations. The solution worked: Ten years after Tiananmen, the world barely reacted to Jiang Zemin’s persecution of Falun Gong, a brutal campaign which targeted at least 70 million Chinese at the time and continues to this day. Meanwhile, investment and business poured into China, propelling the country’s meteoric economic rise. The Red Matrix had started to take effect. Again, because influence is regime survival, the CCP saw a need to step up overseas influence operations after being admitted to the World Trade Organization in 2001 to dictate how the world should view China. In 2004, the PRC rolled out its Confucius Institute program, or “Trojan horses with Chinese characteristics,” as the scholar Steven Mosher described at a 2012 U.S. congressional hearing. 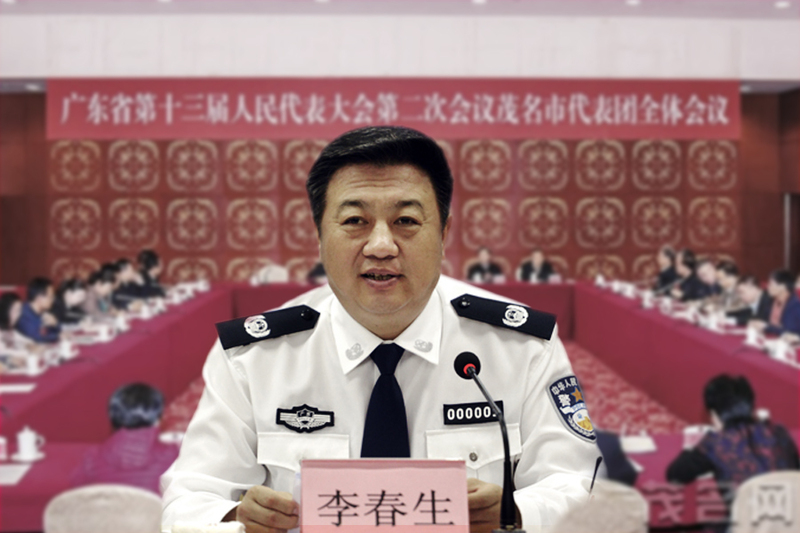 In 2007, the CCP launched its “Great External Propaganda Plan” to expand its overseas propaganda operations and control the channels of messaging delivery. The CCP or its proxies established new media abroad, or bought over foreign media outlets. 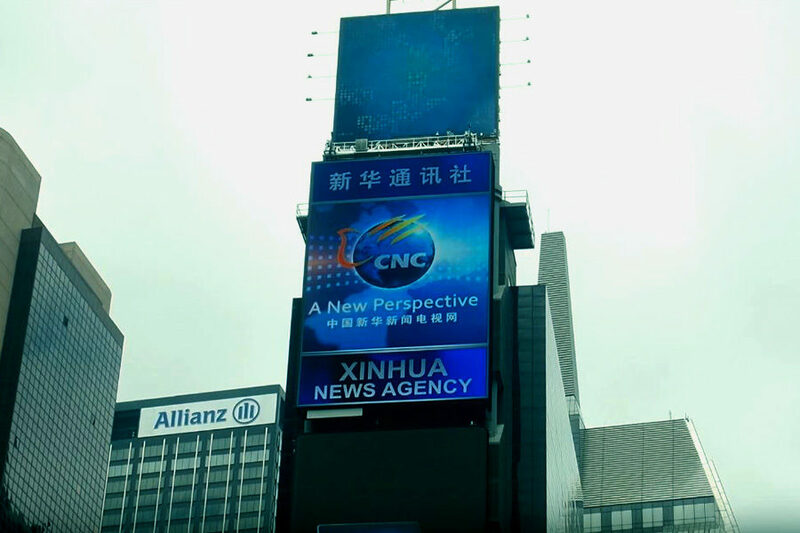 In 2011, a 60-feet tall LED sign bearing English and Chinese characters for “Xinhua News Agency” loomed over New York’s Times Square. Controlling the channels of messaging delivery includes influencing the business and political elites in democratic societies. Thus, business executives and retired or serving government officials have been known to be treated to expensive junkets in China, or enjoy rare access to leading CCP cadres. 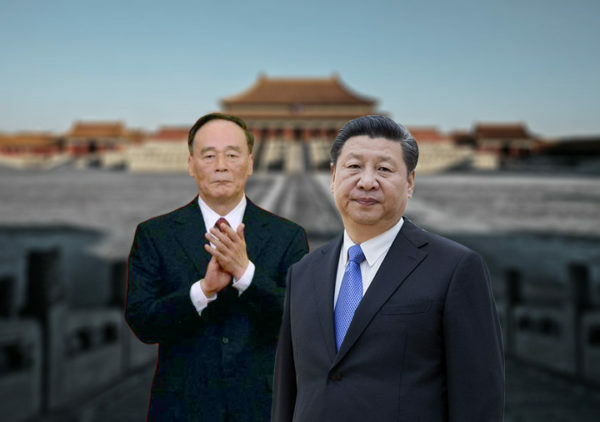 This September, the heads of Blackstone, Citigroup, Goldman, JPMorgan, Morgan Stanley, and other leading U.S. financial institutions were invited to meet with Chinese vice president Wang Qishan in Beijing. In the article “How China Interferes in U.S. Elections,” Anders Corr of Corr Analytics lists the CCP’s efforts to buy influence at elite levels of American politics, business, and academia. Meanwhile, Australian and New Zealand politicians have been outed in recent years for their pro-China views and CCP connections. Most notably, Australian Labor Party Senator Sam Dastyari resigned in December 2017 after he was found to have given counter-intelligence advice to a Chinese billionaire donor. About a year earlier, Dastyari was forced to step down from a shadow ministerial role over his overt support of China’s South China Sea policy in defiance of his political party’s policy. For the CCP, survival and dominance are two sides of the same coin. Years of successful and relatively unchecked CCP influence operations have made the Red Matrix what it is today. 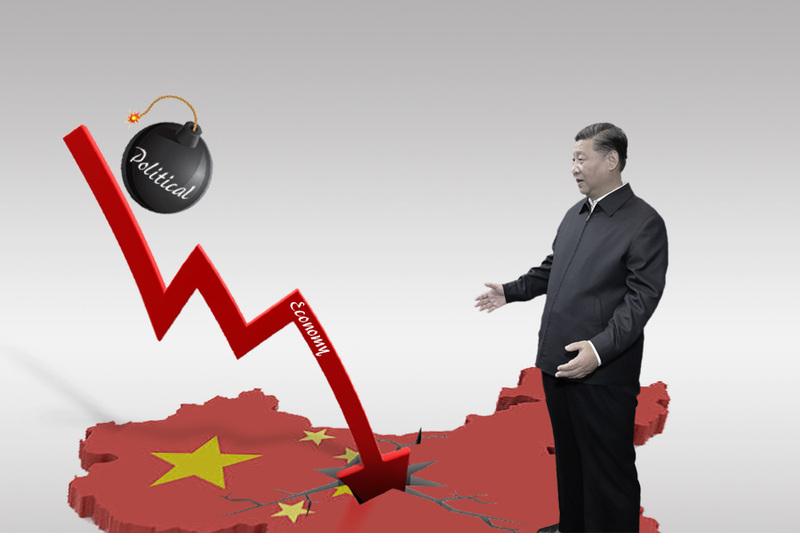 The last decade has seen mainstream commentators and media praise the “China miracle” and laud the “China model” of political stability and economic development. Hollywood movies cast China as the world’s savior. Countries that take easy but potentially unpayable loans from China deny that Beijing engages in “debt trap diplomacy.” Meanwhile, voices calling attention to the CCP’s influence operations, human rights abuses, economic espionage, cyber attacks, and military build-up were marginalized, at least until the recent few years when the seriousness of the CCP threat became too obvious for countries to ignore. 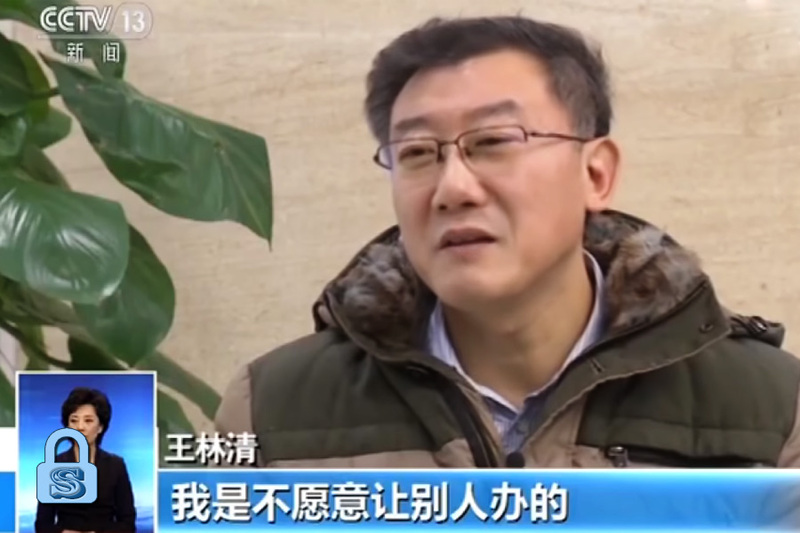 As outlined in the previous segment, the CCP has strived to control critical channels of information. Today, much information about China contains varying degrees of CCP propaganda messaging, and many people have unwittingly absorbed Party truisms. For instance, many see China and the CCP as the same and do not bother to draw a distinction. This is because CCP propaganda conflates China, a land with a five millennia-old civilization, with the CCP, whose communist regime has ruled for seven decades, or just a sliver of China’s ancient history. Meanwhile, the Party conveniently downplays or avoids mentioning that it seeks to destroy authentic traditional Chinese culture, most notably during Mao’s Cultural Revolution. By claiming to represent the entire Chinese civilization, the CCP can proceed to play the race card and declare all criticisms of it as “xenophobia” and “anti-China.” The general public who may be less aware of Chinese history usually fall into the CCP’s language trap and unknowingly help the Party push its “racism” propaganda. Also, the threat of censorship and access to China impedes knowledge production and helps the CCP control the China narrative in the Red Matrix. For decades, the CCP has encouraged self-censorship abroad by denying individuals or organizations entry to China, a phenomenon raised by American scholar Perry Link in his landmark article, “China: The Anaconda in the Chandelier.” In 2002, Link observed that the costs of censorship “in Western perceptions of China, are harder to measure but perhaps even more far-reaching.” Indeed, being barred from China could have career-ending repercussions for China scholars or journalists, while businesses cannot sell to or invest in the vast China market. 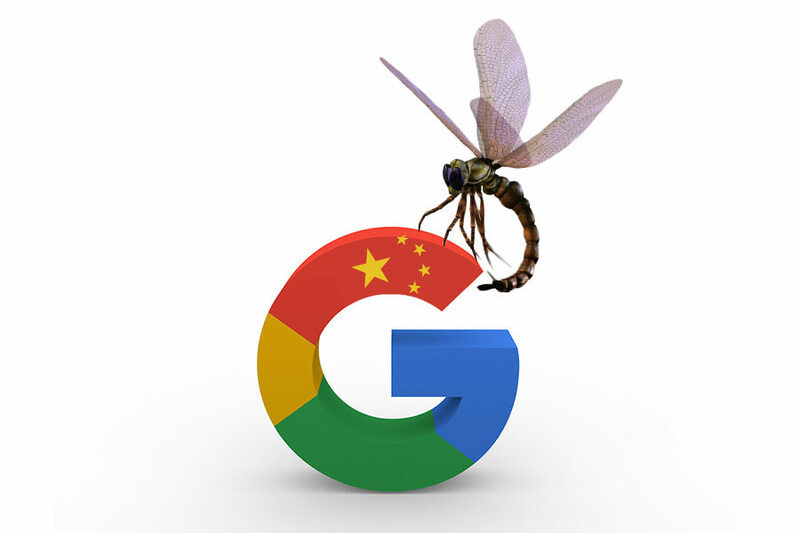 Many opt to self-censor to retain access to China, or even help the regime with its domestic censorship, as seen in the recent exposing of Google’s “Project Dragonfly.” More critically, self-censorship gives the CCP great sway over the information on China that is being created and distributed. 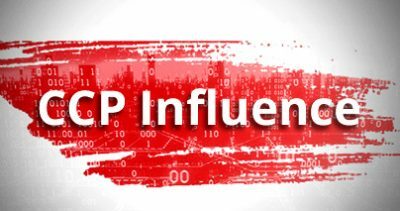 The Red Matrix thus leaves knowledge gaps in critical fields like CCP elite politics and regime operations, and contributes to the spread of misinformation and disinformation about China. To paraphrase Sun Tzu’s “Art of War,” not knowing the enemy will result in a defeat for every victory or losing every battle. With the Red Matrix in place, navigating the knowledge gaps about the CCP and sorting out the disinformation and misinformation will be very challenging at the very least. Being able to read Chinese helps in consulting CCP source material, but figuring out Party parlance and Byzantine political logic is not something that textbooks on CCP politics can help with much. And without accurately “knowing the enemy,” countermeasures against the CCP’s influence operations may at best find only partial success. 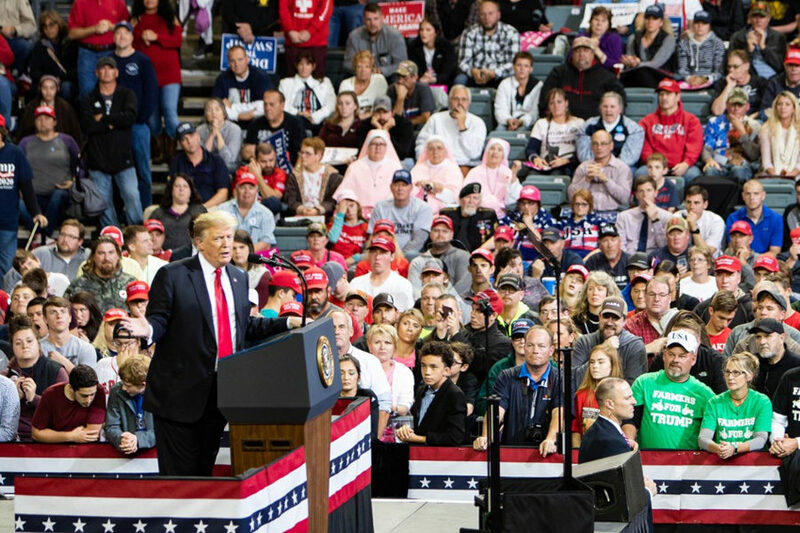 President Donald Trump speaks at a rally in Nebraska on Oct. 9, 2018. Fortunately, the Red Matrix is not entirely hack-proof. First, societies must become aware that they are living in the Red Matrix and that its architect does not have their best intentions at heart. 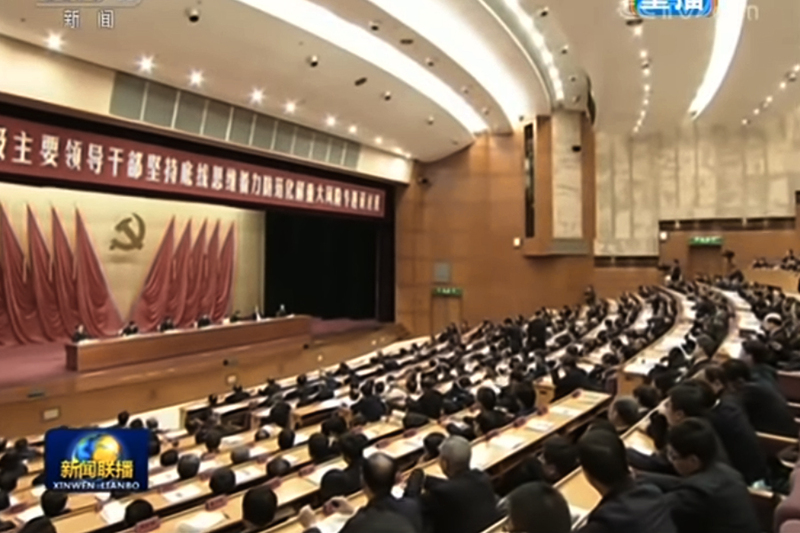 Educating the populace about the nature of the CCP, its political operations, and its influence tactics is the best inoculation against Party propaganda and disinformation. Education is particularly crucial for key influentials like government officials, the media, scholars, and the business elite. When society at large thoroughly understands the CCP and its operations, countries will be able to wrestle back control over information channels from the CCP and begin to fully unplug from the simulation. 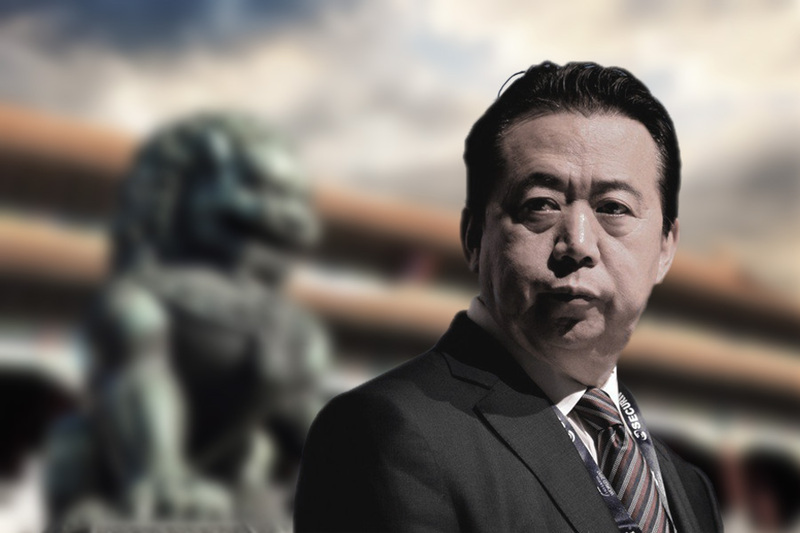 To sidestep the self-censorship problem, governments or organizations can consider consulting China experts with no business interests on the mainland and are free from CCP influence. 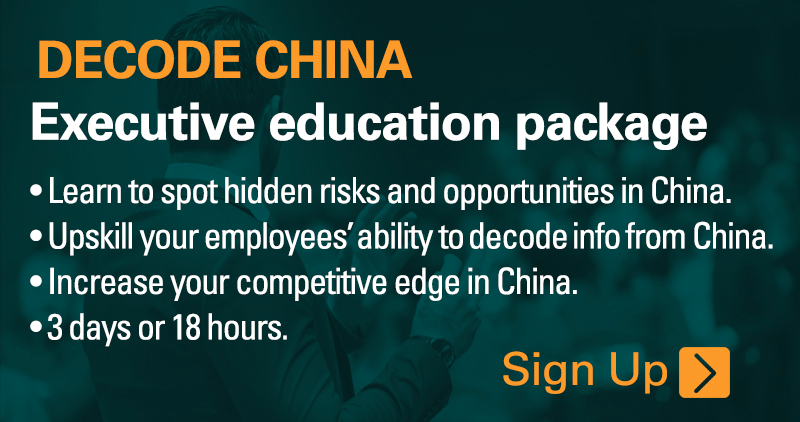 Media outlets, journalists, or scholars with a track record of exposing the CCP and withstanding its interference can also be enlisted to help in public education. In sum, the Red Matrix is a product of the CCP’s struggle to survive and dominate. The relatively weak media and expert response to government warnings about the communist regime’s threat and societal pushback are a testament to the effectiveness of the Red Matrix. 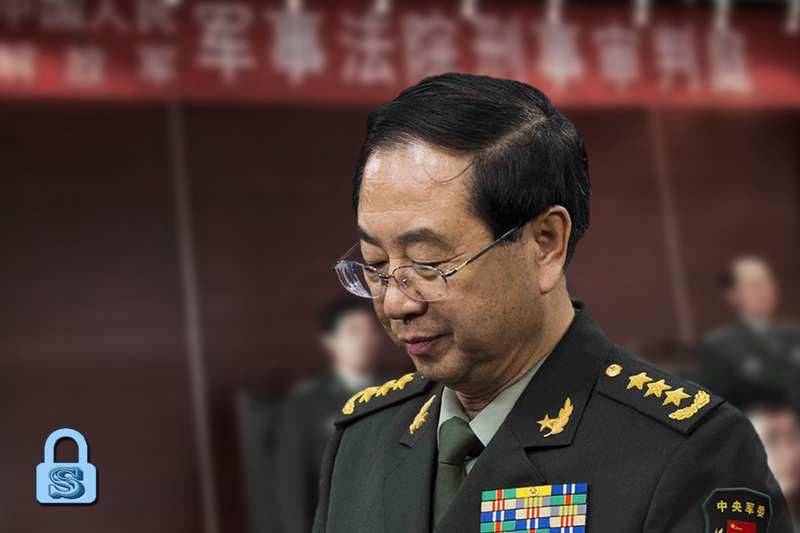 While the CCP may have critically compromised countries with its influence operations, the Red Matrix will become a white elephant for the Party when most people become aware of the simulation. Countries can completely unplug from the Red Matrix if their populace, and especially leading influentials in society, are sufficiently educated about the Communist Party.